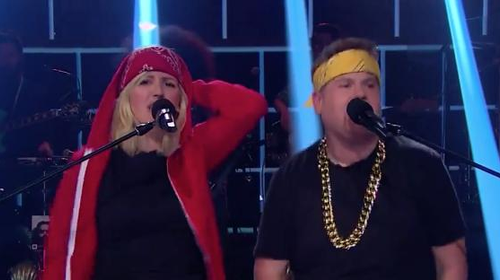 Ellie Goulding has taken her chart topping single 'Love Me Like You Do' to new levels on 'The Late Late Show with James Corden'. 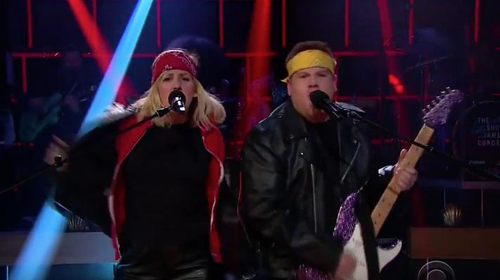 Let's just put it out there right now...James Corden is possibly one of the best talk show hosts we've ever seen. Whether it's his song covers, carpool karaokes or general chit chat, we can't help but watch his videos. 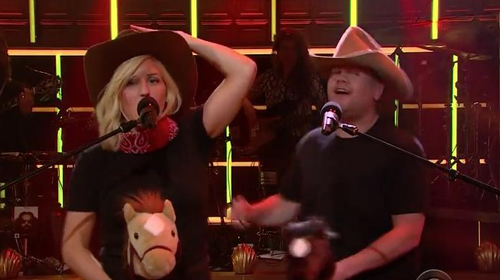 So imagine our delight when he decided to remix Ellie Goulding's 'Love Me Like You Do' into SEVEN different music genres with the lady herself. The single spent a mammoth four weeks at No.1, only matched in 2015 by Jason Derulo's 'Want To Want Me' and Adele's 'Hello'.